The relationship between Princeton University and Iran goes back a long way—at least 110 years to 1907 when Howard Baskerville, Class of 1907, went to Iran to teach science and English. He died at age 24 fighting alongside his students for constitutional democracy, but his memory lives on for many Iranians, and his grave is preserved in the northwestern Iranian city of Tabriz. After graduating from Princeton as a religion major, Baskerville wanted to learn about a foreign culture and language before continuing his studies for the ministry. In the fall of 1907 he arrived in Tabriz to teach at the American Memorial School, run by the Presbyterian mission. In addition to teaching science, English, tennis, riding, and geometry, Baskerville directed his students in a production of Shakespeare’s The Merchant of Venice, taught a class on international law (informed by his courses at Princeton on jurisprudence and constitutional government taught by Woodrow Wilson, who was Princeton’s president at that time), and became increasingly interested in his students and their culture and politics. The Persian Constitutional Revolution (Iran was commonly known as Persia, at least in the West, until the 1930s.) had begun about two years before Baskerville’s arrival in the country and eventually led to the establishment of an elected parliament (the majlis) and the hope for a new social and political order. The royalists fought back, however, and Muhammad Ali Shah, newly installed on the throne after his father’s death, closed the parliament, abridged many of the new freedoms, suppressed democratic forces, and executed many supporters of the constitution. 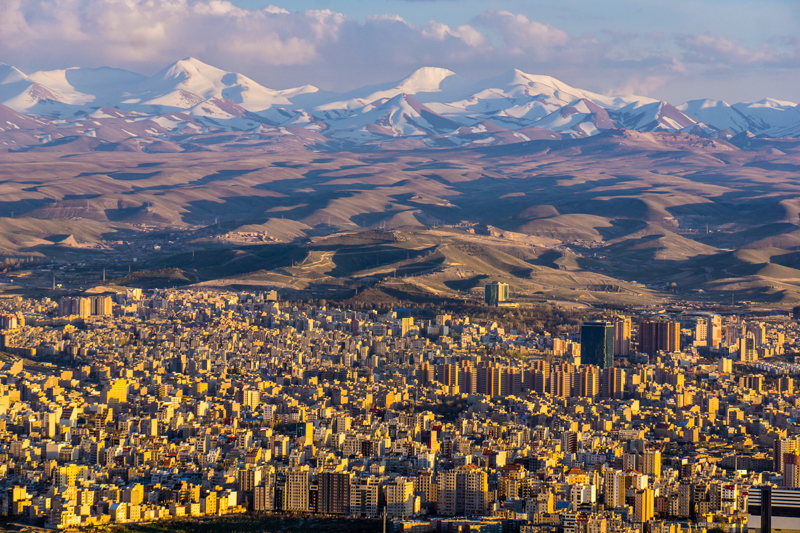 Tabriz was a central region of opposition to Muhammad Ali Shah and the royalists, who laid siege to the city, cutting off supplies from the outside. Baskerville, influenced by his Persian students and friends, became increasingly involved in supporting the constitutionalist effort. According to a 2007 Princeton Alumni Weekly article, Baskerville was ready to die for the cause of constitutional liberty and the protection of the city of Tabriz. In April 1909, after 10 months of siege, Tabriz was still surrounded by royalist forces and running out of food and medical supplies. On April 20, while leading a scouting force searching for breaks in the city walls, Baskerville was shot and killed by a sniper’s bullet. Thousands of mourners lined the streets as his coffin, covered with 16 floral wreaths,was carried to the cemetery. Shahyad Tower (later Azadi Tower), Tehran. 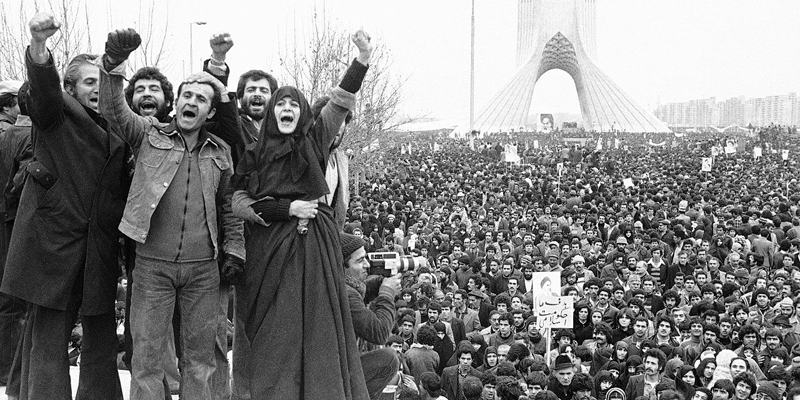 Supporters of Ayatollah Khomeini hold a demonstration in Iran during the Islamic Revolution of 1979. The memory of Baskerville lives on in Iran, with several schools in Tabriz and elsewhere in the country still named for him. His portrait and a large bronze bust are displayed at Constitution House in Tabriz, alongside a report on the story of the 1909 conflict. That resonance may be even greater today as the nuclear accord seems to be in jeopardy, after President Trump’s recent refusal to re-certify the agreement. Kinzer’s subsequent comments about Baskerville are perhaps even more timely and appropriate now than they were two years ago. 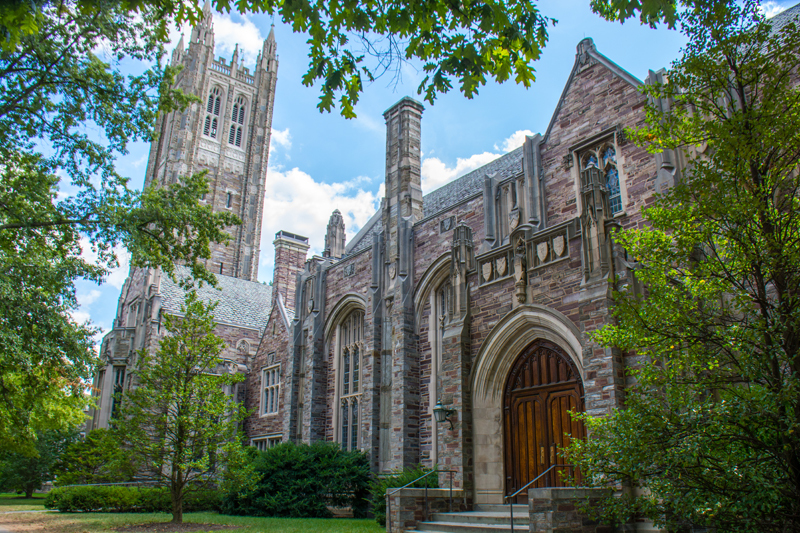 In 2012, following in the spirit of Baskerville, two Princeton alumni made a $10 million gift to create the Sharmin and Bijan Mossavar-Rahmani Center for Iran and Persian Gulf Studies at Princeton University. The Mossavar-Rahmanis grew up and completed their high school education in Iran before moving to the United States. They are now living in New York City. 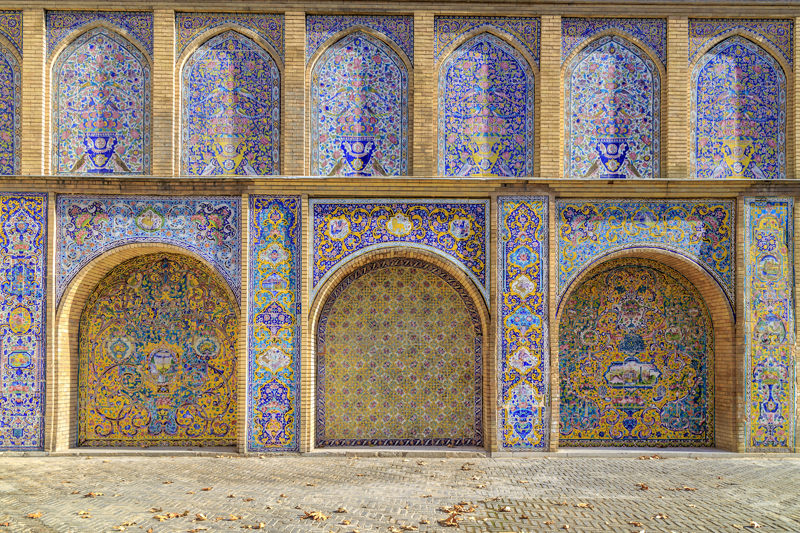 The Mossavar-Rahmani Center, seeking a comprehensive interdisciplinary approach to understanding Iran and the Persian Gulf, supports teaching and research on Iran and Persian Gulf studies, addressing the history, politics, society, economics, religion, literature, art, and culture of the region. Fostering understanding and a positive relationship between the United States and Iran, however, raises significant challenges in the context of the contemporary political environment in which the United States may withdraw from the 2015 nuclear agreement; war in Syrian, battles against the Islamic State, and other conflicts in the Middle East make Iran an occasional ally but more often an adversary; and a Princeton University graduate student conducting research for his dissertation has recently been imprisoned in Iran with a 10-year sentence for espionage. Describing the difficulties involved in interpreting the words of politicians, particularly across cultures, Haldon spoke about the role of scholars and educators. “We have to try and illuminate the ways in which Iranian political and economic attitudes and public utterances operate at home in Iran and in other localities in the Middle East and how they resonate beyond that and what they actually signify. When an Iranian foreign minister makes a provocative statement about the enemies of the Islamic Republic, is this saber rattling? Or just to please the local Iranian audience, which like the United States is factionally divided along political lines? Politicians have to bear in mind what their constituency thinks about what they say. 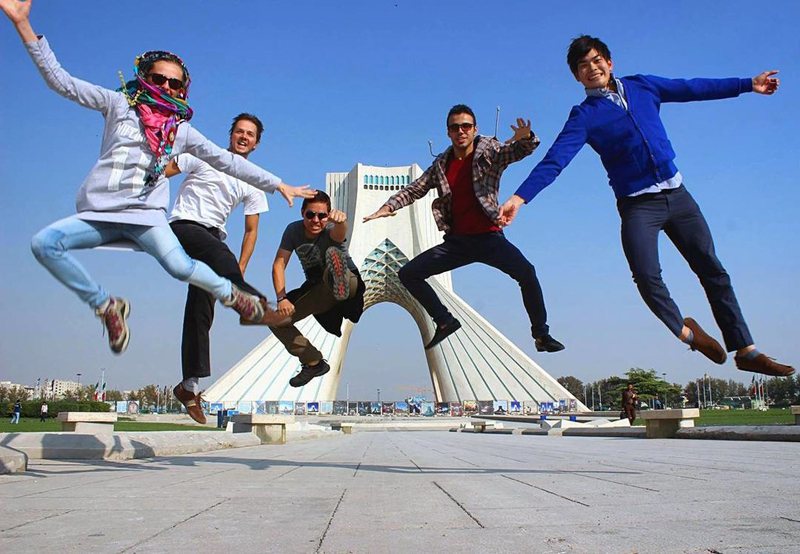 People jumping at Azadi Tower on the International Day of Peace, which is observed annually on September 21. Photo by Vahid Takro. Hossainzadeh, who grew up in this country with an Iranian father and American mother, graduated from Harvard as a government major in 2006, then moved to Qom, Iran, enrolling in an all-female Islamic seminary studying Islamic political thought before returning to the United States to earn her Ph.D. in political science at UC Berkeley. She is currently working on a book, a revision and expansion of her doctoral dissertation, that will explore the political works and theory of Ayatollah Ruhollah Khomeini. 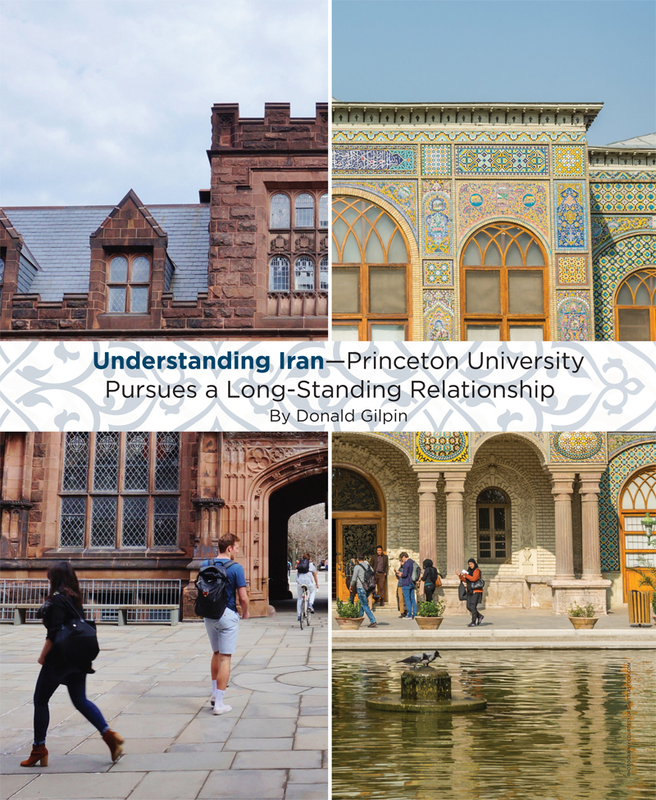 Haldon suggested that the 2018-19 school year may see a series of short-term, high-profile appointments at Princeton, people with international diplomatic interests connected with Iran, perhaps from the State Department or the United Nations. Learning about Iran, developing that understanding aspired to through the teaching and scholarship of Haldon and Hossainzadeh; through the work of the Mossavar-Rahmani Center, the Near Eastern Studies Department, and other Iran studies initiatives at Princeton; may never be more important than it is right now, though one might still find initial inspiration in Howard Baskerville, who set out for Tabriz 110 years ago to learn about the culture of Iran.